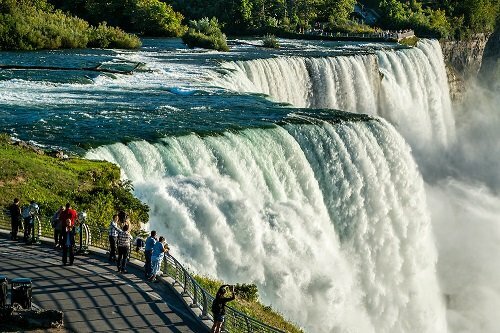 This tour features spectacular sights on the American side of Niagara. Learn about daredevils and water wonders in this all?in?one interactive history lesson! You’ll get to see the Falls up-close and personal aboard the Maid of the Mist, enjoy a nice picnic and visit the N.Y State Power Vista to learn about the generation of hydroelectric power! 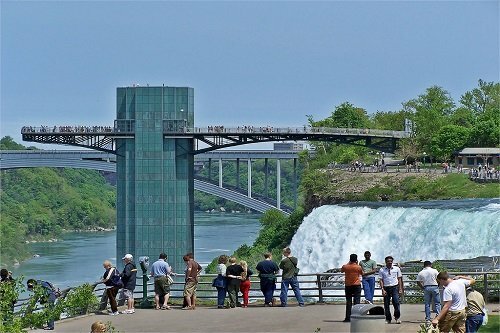 View the Falls atop the New York State Observation Tower in the oldest state park in the United States. Enjoy an exciting ride aboard the world?famous Maid of the Mist Boat. Visit the N.Y. State Power Vista, where you’ll learn about the generation of hydroelectric power and view exhibits on energy and electricity with hands?on interactive displays. View the Niagara River Gorge from 350 feet above on the observation deck to see the churning waters that carved the world famous Niagara Falls. Visit all key viewing areas of the Falls, including Goat Island. Enjoy a picnic lunch (optional) that includes your choice of a deli style sandwich, dill pickle, chips, choice of soft drink and home baked cookies. How well do you know Niagara? Test your knowledge, have fun and be challenged at the same time. At the end of the tour, take our Niagara Falls Trivia Game and see how much you have learned. 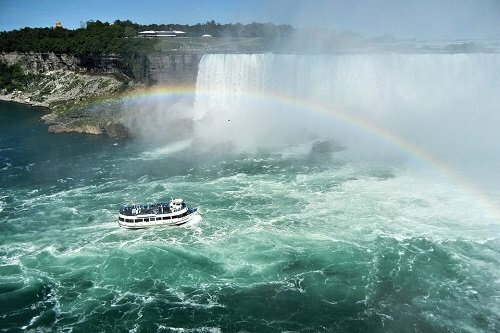 In addition, you will visit or view the Horseshoe Falls, American Falls, Bridal Veil Falls, Three Sister Islands, Luna Island, Terrapin Point, Prospect Park, Raging Rapids, Marooned Barge, Niagara Gorge, Giant Whirlpool and Spanish Aero Car.